I hope you enjoyed the holidays and that your new year is off to a great start! Please see below and the attached flyers for events and programs happening in the area and other useful information! 1. Winter 2019 Cooking Workshop Series – Whether you want to impress your co-workers with a lip-smacking soup or accomplish those new year health goals with nutritional recipes – the Public Library and Health Department have you covered! You’re guaranteed to learn something new and have a good time at these live demonstrations and food tasting workshops! 2. Pike Library Events & Programs – In case you haven’t noticed, our libraries offer way more than just good books to take home. 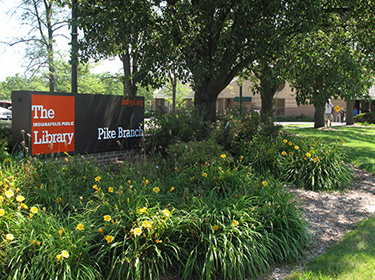 Plan your next visit to Pike Library by visiting this link and checking out this month’s upcoming events and programs! 3. Coffee With a Cop – Have a cup of morning Joe with your favorite officers of the NW District at their monthly Coffee with a Cop event! Chat with the Commander, meet other NW residents, get to know your officers, or just stop by to say “hello”! Click this link to view their event flyer. 4. Eagle Creek Park Calendar – If you’re anything like me, you didn’t know that Penguin Awareness Day was a thing. So, now that we know this day exists, get ready to celebrate the day of our flightless bird friends at Eagle Creek Park! Get the details on the Penguin Awareness Day event and all other ECP happenings by checking out their calendar! 5. New City Website – Have you checked out the city’s new website yet? If you haven’t, stop what you’re doing and head over there now using https://my.indy.gov/. If you are a frequent user of the old indy.gov site, you will appreciate and enjoy the ease and experience of my.indy.gov – the new, digital city hall! 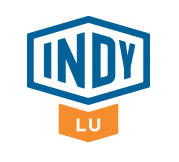 Please note that after today, the city’s old site (indy.gov) will automatically redirect you to the new site (my.indy.gov). 6. International Marketplace Coalition Lunch Tours – There’s no need for you to take a trip out the country or even across town to experience some of the best ethnic restaurants that our city has to offer! Travel with our friends of the International Marketplace Coalition as they tour Mexico, India, Cuba, China, Pakistan (and so many other places) one tasty dish at a time! 7. Golden Eagles Senior Group Newsletter – It’s not too late to get in on all the excitement and fun happening with the Golden Eagles Senior Group. If you are 55 years or older, but feel like you have the heart, spirit, and agility of a young person – this is the group for you! Check out their newsletter for more details on how you can get involved! 8. Government Profile Quiz time! – Do you know who your City-County Councillor is? Do you know what IMPD District you live in? Do you know what voting precinct you live in? No worries if you didn’t pass this quiz with a 3/3, just be sure to check out http://maps.indy.gov/GovProfile/ to find answers to these questions and so much more. Simply type in your address and select an option in the ‘Show Me’ box. * My Community Office Hours times and locations are as follows: Eagle Library 3325 Lowry Rd. every Monday 3:30pm-5:00pm, Panera Bread 6050 W 86th St. every Tuesday 10:00am-11:30am, and Pike Library 6525 Zionsville Rd. every Tuesday 2:00pm-3:30pm. Stop by and say hello! * If you do not wish to receive these emails or know someone that would like to be added to this distribution list, please let me know and I will be happy to make those accommodations! * Report any issues or service requests (potholes, missed trash collections, abandoned vehicles, high weeds and grass, traffic signals, etc.) that you may have to the Mayor’s Action Center (MAC) or through Request Indy. You can reach the MAC at 317-327-4622 and access Request Indy here or by using the mobile app. Be sure to keep the service request number/reference number to track the status of your complaint! 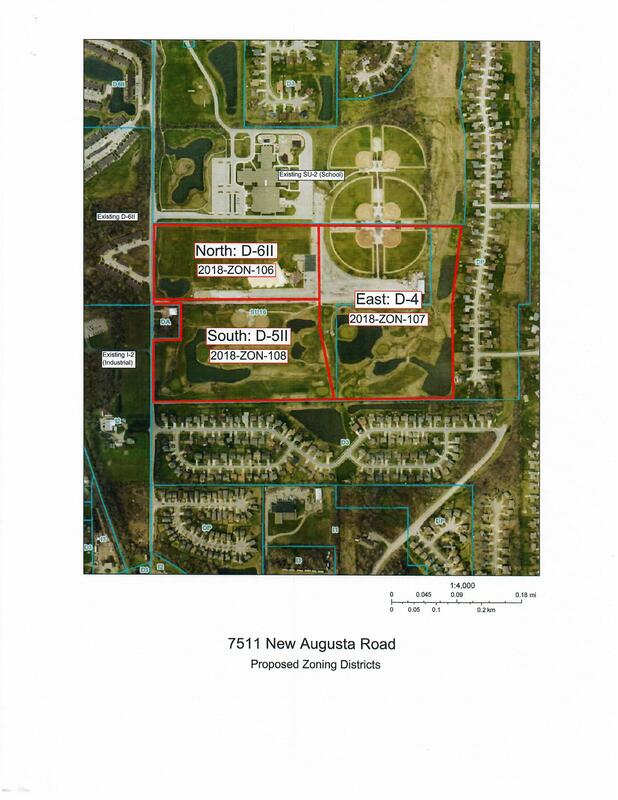 Davis Homes wants to build at 7511 New Augusta Road. This is property currently being used by Midwest Sports Complex. Davis is planning 3 different sections. The first section would be apartments and Villas for seniors. One person in the apartment/Villa would have to be 55 years or older, as permitted by and in compliance with the Housing for Older Persons Act (1995). There would be a total of 174. This section would be called Ashton Place. The second section would be single-family detached homes. It would be called Ashton Manor. There would be 78 homes. The last section would have Duplex and Patio homes. The section would be called Ashton Gardens. It would have 95 homes. It appears Davis is trying to cover all interests of buyers and seniors. PTRA and Davis have been working this out for several months with pages of commitments. Below is a working draft and not the final. Davis has an offer on the land contingent on rezoning. The PTRA Board supported this petition in their last meeting but are still working on the final commitments. Here’s another read of 8 Things to Get You Through the Week! Have a safe and happy holiday and please feel free to share this email with anyone who may be interested! 1. Christmas Holiday Trash Schedule Here are two important reminders: (1) don’t forget to leave out warm cookies and a tall glass of milk for Santa and (2) curbside recycling, residential and heavy trash will operate on a slide schedule in observance of Christmas Day. Regular routes will be serviced on Monday, December 24 and you can expect trash pickup to slide one day forward after Christmas Day. Be sure to check out this press release for more details! 2. 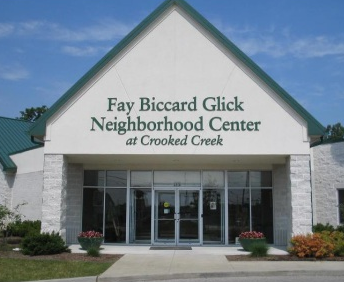 Eagle Creek Park Foundation Grant As if we don’t already love Eagle Creek Park (ECP) enough – we just gained 2.6 million more reasons to adore one of the west side’s greatest gems. ECP Foundation recently received a $2.6 million (yes, that’s right, $2,600,000!) grant from the Lily Endowment. This grant will help fund the Park’s new West Side Trail which will increase the amount of existing park land available for public use and include 7 new miles of maintained trails. We can’t wait for the ground breaking! Check out the attached press release to get more details on this project! 3. 2019 Public Safety Priorities Mayor Joe isn’t shying away from pressing issues like public safety. Last week, he was joined by IMPD Chief Bryan Roach and Director of Community Violence Reduction Shonna Majors to outline how 2018 efforts to make our city safer will continue in 2019. Increased staffing, more beats, continued focus on gun crimes, and disrupting the spread of violence from a community level are just some of the priorities for 2019. Read through the attached press release for more information! 4. Christmas Tree Recycling Program Already trying to figuring out how you’re going to dispose your live Christmas Tree? Well, no need to worry. Indy Parks and the Department of Public Works has you covered and are taking the hassle out of tossing your tree. Beginning December 26 through January 31, residents can drop off live trees at nine different locations. Click here to find a location nearest you and how recycling your tree will become a sustainable resource! 5. Indiana State Police 79th Recruit Academy Are you or someone you know ready to take the charge and serve our great state as police officer? The Indiana State Police is looking for the best and the brave to submit an application for their 79th Recruit Academy by the February 10, 2019 deadline. Want more information? Visit this site! 6. Citywide Street Sweeping Program In case you missed it, the Mayor recently announced the city’s new street sweeping program that will now cover more than 7,000 miles of roadways. Yep – that means that major streets that are not in the downtown area (where sweeping currently takes place) will become a little more clean and beautiful thanks to a $2 million program that will provide new equipment and dedicated staff to regular sweeping routes. Check out RTV 6’s article for more program details! 7. Indy Snow Force Thankfully, we’ve yet to see the worst of Mother Nature’s snowy, winter wrath, but let’s make sure that we are prepared for when she decides to let loose. First, don’t forget that, during snow events, you can get real-time updates on which streets have been plowed using the city’s Snow Force Viewer. Secondly, please remember that major thoroughfares are plowed and treated (salted) first and residential streets are not considered for plowing until the city receives more than 6 inches of snow. Lastly, city code requires property owners and occupants to clear their sidewalks of snow and ice. Be sure to look over the attached Indy Snow Force document for more information on frequently asked questions! 8. New Pike YMCA and Michigan Rd Library I am excited to share with you two of the northwest side’s newest community assets: OrthoIndy Foundation YMCA and the Michigan Road Library! Orthoindy Foundation YMCA located at 5315 Lafayette Rd. will serve as the new Pike YMCA and the first YMCA facility in the nation to offer clinical VA services for vets and active military alongside traditional Y programs. Michigan Road Library (6201 N. Michigan Rd) held their grand opening this past weekend. This new branch will not only be a hub for reading and learning, but also a another space for neighbors to utilize for community meetings. Support our new community neighbors by stopping by and getting to know them! *** My Community Office Hours times and locations are as follows: Eagle Library 3325 Lowry Rd. every Monday 3:30pm-5:00pm, Panera Bread 6050 W 86th St. every Tuesday 10:00am-11:30am, and Pike Library 6525 Zionsville Rd. every Tuesday 2:00pm-3:30pm. Stop by and say hello! *** If you do not wish to receive these emails or know someone that would like to be added to this distribution list, please let me know and I will be happy to make those accommodations! *** Report any issues or service requests (potholes, missed trash collections, abandoned vehicles, high weeds and grass, traffic signals, etc.) that you may have to the Mayor’s Action Center (MAC) or through Request Indy. You can reach the MAC at 317-327-4622 and access Request Indy here or by using the mobile app. Be sure to keep the service request number/reference number to track the status of your complaint! Please join Commander Lorenzo Lewis at our monthly Task Force meeting. Food will be provided.We will be discussing crime trends, neighborhood issues and upcoming Northwest District events. The Land Use Plan is one way to implement the community’s hopes for development. It tells us what you want to see in your neighborhood – like retail shops, houses and apartments, parks, and civic space. IMPD Northwest District and Ranger Unit Annual Community Day is Thursday, May 17th, 5-8pm, Watkins Park, 2360 Dr. Martin Luther King Jr. St.
It’s that time again. Please join me in a few weeks, as we continue with our “Coffee With Your Councillor.” Please come out and join in on the discussions regarding District 1. This conversation is an open discussion, with YOU determining the topics, and with no set agenda. Please join us on Tuesday April 3rd for Coffee with a Cop from 09:00 – 10:00a.m. We will be at the McDonalds 56th/Georgetown Rd. NW Commander and his Administrative Staff will be there to listen to your questions, concerns and suggestions over a cup of coffee.